Aaron Lemon began employment with the Greenville Police Department in February 2006. Officer Lemon served 6 years prior to employment with the Greenville Police Department as a Staff Sergeant in the United States Air Force. Officer Lemon served as a Crew Chief on B-52H bomber Aircraft while in the United States Air Force. While at the Greenville Police Department, Officer Lemon has served in the Field Operations bureau as a Field Training Officer, Crisis intervention Team Officer, and Background Investigator and was promoted to Advanced Police Officer. Officer Lemon has advanced his knowledge in traffic enforcement by attending specialized classes in Aggressive Driving enforcement, Advanced DWI detection, Standardized Field Sobriety, Speed Measuring Instrument Operation, and Intoximeters EC/IR II operation. Officer Lemon has advanced training in Crash investigation recently completing the Traffic Crash Reconstruction curriculum at the North Carolina Justice Academy. Officer Lemon was awarded the Traffic enforcement and Investigation certificate form the North Carolina Justice academy which culminated 500+ hours of specialized Traffic Enforcement and Crash investigation training in October 2013. Officer Lemon completed the National Child Passenger Safety Certification Training Program and serves as a Child Restraint Technician. Officer Lemon is a Motor Officer with the Greenville Police Department Traffic safety unit and Training coordinator for the Motor Unit. Officer Lemon completed an 80 hour Police Motor school with the Northwestern Center for public safety. 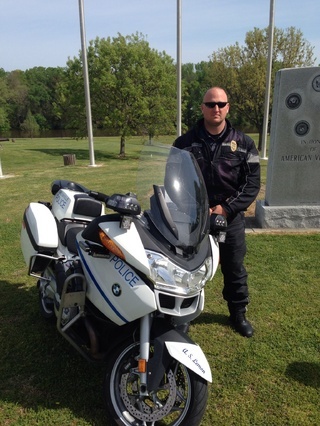 Officer Lemon is an avid motorcycle rider outside of his work duties and The President of the Blue Knights Law Enforcement Motorcycle Club Chapter NCVIII. Motorcycle safety is a passion for Officer Lemon to promote to the motoring public.